Russia aims to join the world's top ten countries in terms of per capital income by 2020. That will mean incomes of $30,000 per person at current prices. Under purchasing power parity, Russia's current per capital income is $13,000. By 2030, it is expected to be over $40,000. 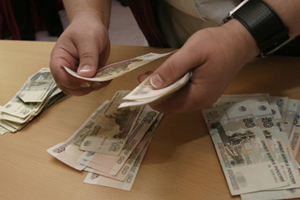 Net foreign capital inflow into the Russian economy was $80 billion in 2007. In 2008, the figure is unlikely to exceed $50 billion. One-fifth of Russia's population currently lives below the poverty line, drawing wages that are not only less than subsistence level (an average of 3,809 rubles, or $156), but often below the official minimum wage. Real wages have grown in all regions at fast rates. The highest rise (over 20%) was posted in the Mari El, Tatarstan and Chuvash republics, as well as in the Voronezh, Moscow and Novosibirsk regions and the Ust-Ordyn Buryat Autonomous Area. They vary across the country by 3.2%.